Abstract: India is a land of vast phsiogeographic variability. This subcontinent is rich in floral and faunal diversity. It is not surprising, therefore that the country is one of the richest in the world with respect to butterfly species. Butterflies are the foremost galore cluster of insects on earth that square measure simply recognizable by the overall public due their lovely colors and swish flight .They variate on the basis of sexual variations, individual, seasonal, geographical variations and races. These variations form the raw material for speciation and offer one of the most challenging aspects for the classification of these insects. The conventional morphological methods are of great help in separation of different species and genera. There is need to couple morphological, biological, behavioral and biochemical studies with available taxonomic information to separate insect taxa on the basis of discriminatory characteristics. Such supplementary characters come from biochemical and/ or molecular studies. Protein electrophoresis has emerged as a useful technique in population genetics and now a days been widely applied in systematics. Therefore, the present studies used this technique for the SDS-PAGE characterization and comparison of proteins in the both male and female of Pieris spp. (Pieris canidia indica and Pieris brassicae). It was interesting to note that after the comparison of the data, most of the protein fractions obtained in two species of P. canidia and P. brassicae were found to be common. And further, protein fraction were also common when they were compared within the same species male and female, confirming that these were the characteristic of the genus. So we can conclude that the proteins serve as good markers for the differentiation of species and also for the sexes in the same species. Keywords: Biodiversity, Protein profiling, Pieris spp. BURNS, J. M. (1975). Isozymes in evolutionary systematics. In Isozymes, Volume 4(pp. 49-62). Cook, J. (1996). A beginner’s guide to molecular markers for entomologists. ANTENNA-LONDON-ROYAL ENTOMOLOGICAL SOCIETY-, 20, 53-61. Gurleen, K. 2006. Phospahatse relationship in Pieris MSc. Dissertation, Panjab University, Chandigarh. Avise, J. C. (1974). Systematic value of electrophoretic data. Systematic Biology, 23(4), 465-481. Berlocher, S. H. (1984). Insect molecular systematics. Annual review of entomology, 29(1), 403-433. Loxdale, H. D., & Lushai, G. (1998). Molecular markers in entomology. Bulletin of Entomological Research, 88(6), 577-600. Monteiro, A., Brakefield, P. M., & French, V. (1997). The relationship between eyespot shape and wing shape in the butterfly Bicyclus anynana: a genetic and morphometrical approach. Journal of Evolutionary Biology, 10(5), 787-802. Mattu, V. K., & Verma, L. R. (1984). Comparative morphometric studies on the Indian honeybee of the north-west Himalayas. 3. Hind leg, tergites and sternites. Journal of Apicultural Research, 23(3), 117-122. Mattu, V. K., & Verma, L. R. (1984). Comparative morphometric studies on the Indian honeybee of the north-west Himalayas 2. Wings. Journal of Apicultural Research, 23(1), 3-10. Mattu, V. K., & Verma, L. R. (1983). Comparative morphometric studies on the Indian honeybee of the north-west Himalayas 1. Tongue and antenna. Journal of Apicultural Research, 22(2), 79-85. Sylvester, H. A. (1986). Biochemical genetics. Bee Genetics and Breeding, 177-203. Sylvester, H. A. (1982). Electrophoretic identification of Africanized honeybees. Journal of Apicultural research, 21(2), 93-97. Hagen, R. H. (1986). The evolution of host-plant use by the tiger swallowtail butterfly, Papilio glaucus. Cornell University, Aug.
Loxdale, H. D., Brookes, C. P., Woiwod, I. P., & Harrington, R. (1994). Another solution for preserving activity and integrity? Trends in ecology & evolution, 9(11), 441. Queller, D. C., Strassmann, J. E., & Hughes, C. R. (1993). Microsatellites and kinship. Trends in ecology & evolution, 8(8), 285-288. Jacobson, N. R., Hansens, E. J., Vrijenhoek, R. C., Swofford, D. L., & Berlocher, S. H. (1981). Electrophoretic detection of a sibling species of the salt marsh greenhead, Tabanus nigrovittatus. Annals of the Entomological Society of America, 74(6), 602-605. Ruttner, F., Tassencourt, L., & Louveaux, J. (1978). Biometrical-statistical analysis of the geographic variability of Apis mellifera LI Material and methods. Apidologie, 9(4), 363-381. Eanes, W. F., & Koehn, R. K. (1978). An analysis of genetic structure in the monarch butterfly, Danaus plexippus L. Evolution, 32(4), 784-797. Wahlberg, N., Braby, M. F., Brower, A. V., de Jong, R., Lee, M. M., Nylin, S. & Zakharov, E. (2005). Synergistic effects of combining morphological and molecular data in resolving the phylogeny of butterflies and skippers. Proceedings of the Royal Society of London B: Biological Sciences, 272(1572), 1577-1586. Rose, H. S., & Walia, V. K. (2003). Inventory of the Butterflies diversity of Chandigarh. Bionotes, 5(3), 58-60. Kingsolver, J. G., & Wiernasz, D. C. (1987). Dissecting correlated characters: adaptive aspects of phenotypic covariation in melanization pattern of Pieris butterflies. Evolution, 41(3), 491-503. Brakefield, P. M. (1984). The ecological genetics of quantitative characters in Maniola jurtina and other butterflies. Muogbo, Uju. S, Jacobs, Chineze J.
Abstract: This study examined the effect of poor labour management relations on productivity in business organisation with reference to Kotec industry Limited. The objective of the investigation is to layout the effect of poor labour management relations on productivity in Kotec industry, Onitsha. The population of this study comprise of four hundred (400) staff of both senior and junior staff of the organization. Hence the sample size is calculated to be 200 staff of the organization. The study made use of chi-square (X2) statistical devices to test the hypotheses. The study discovers that Government regulations influence the Kotec industry because of a few restrictions on the importation of raw materials for adequate productivity. The study concludes that workers are ineffectively compensated. This is confirmed by the irregular promotions, late and inadequate payment of workers' salaries and allowances; it leads to lack of interest, dissatisfaction and enmity against the organisational board. The study likewise recommends that the government should release the import restriction measures to enable industrialist import sufficient raw materials and some other things used for production, without that the workers would not have anything to do so as to enhance productivity in the economy. Aniemeka, G.J. (2009). Pragmatic Dimension to Personal Management (1st). Pp. 177-185. Anene, V.N. (2000). The Stomach War. Business Times. Pp. 13-20. Agu, C.N. (2003). Management: an Introductory' Text. Owerri; Resource Development Centre, pp. 99-105. John W. & Fredrick W.T. (2007). Elements of Business America. Hall R.H. (2006), Organizations, Structures Processes and Outcomes, 6th Edition; Englewood Cliffs, New Jersey Prentice Hall. Hunt, D. (2002). Public Corporation; Their Problem and Prospects. Wiley and Sons Inc. pp.72. Miner, G. and Miner, I. (2007). Industrial Relations. USA: Me Graw Hill Inc. pp.80-95. Nwachukwu, C. (2004). Management Theory and Practice. Onitsha: African First Publishers Ltd, pp.70-71. Osuala, L. (2008). Personnel Management (2nd). Scott, P. 121. Professor Onwuchekwa C. I (2002), Organizational Structure, Capabilities and Responsiveness and Dimension of Organizational Design. The Nigerian Stock Exchange Fact Book (2005), Pathway Communication Ltd, Pp. 7-8. Abstract: The credit union sector is a striving industry. With the increase in membership, the institution will see an increase in deposits, loans and the use of other products and services. As the credit union continue to grow, management need to be aware of inadequacies and how members perceive the institution’s performance. The purpose of this study was to analyze the perception of credit union members on the performance of credit unions and to evaluate the financial performance of the three selected credit unions over an eight year period (2008-2015) using the CAMEL framework. A total of 300 questionnaires consist of Likert scale statements were issued to credit union members to collect data on the perceptions of performance of credit unions and the data were analyzed using descriptive statistics. Secondary data was collected from the audited financial statements retrieved from the credit unions’ official websites to analyses the financial soundness of credit unions using CAMEL framework..Results indicate that 96.3% of the respondents prefer to save at a credit union than at a commercial bank. Also, 50.3% indicates that credit unions foster economic development and 47.3% agree that they meet their financial needs. The results form CAMEL analysis shows that the credit unions in Belize are financially sound and safe. Ahsan, M. K. (2016) Measuring financial performance based on CAMEL: A study on selected Islamic banks in Bangladash. Asian Business review, 6(1), 47-56. Branch, S. G. An Assessmentof Financial Soundness of the Credit Union in the Bahamas. (2008-2015). Callhan& Associates. The Comprehensive Guide to Credit Union Performance Benchmarking, Do’s and Don’ts and must know Metric for C-Suite Executives. http://go.callahan.com/rs/866-SES-086/images/The-Comprehensive-Guide-to-Credit-Union-Performance-Benchmarking.pdf. Retrieved November 24, 2017. Christine-Veitch, C. (2014) Risk-Based Supervision for Credit Unions, Presented at Credit Union Supervision Workshop, Kingston, and St. Vincent. Dukurah, A. H, Goddard, E., Osuteye. N. (2005) First Draft: Attitudes Towards and Satisfaction with Credit Unions in Alberta. A Regression and Scale Analysis.https://ageconsearch.umn.edu/record/34155/files/cp05da01.pdf. Retrieved October 09, 2017. Financial Soundness Indicators: Compilation Guide. (2004). http:www.imf.org>guide>pdf>chp14. Retrieved October 04, 2017. Garcia, G. Novelo, A. Vellos, C. (2009). The Evolution of the Financial Sector in Belize (1996-2007). 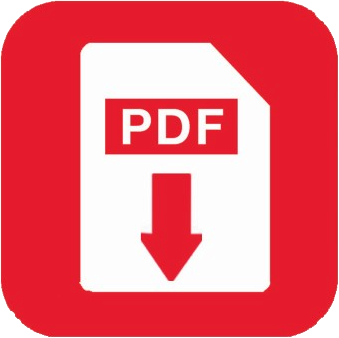 https://www.centralbank.org.bz/docs/default-source/4.5-conferences-and-working-papers/the-evolution-of-the-financial-sector-in-belize-1996-2007.pdf?sfvrsn=8. Ghasempour, S., Salami, M. (2016) ranking Iranian Private Banks based on the CAMELS Model Using the AHP Hybris Approach and TOPSIS. International Journal of Academic research in Accounting, Finance and Management Sciences, 5(4), 52-62. Holy Redeemer Credit Union Limited. Annual Report. 2008-2015. Retrieved October 13th, 2017. http://www.hrcubelize.org/index.php?option=com_content&view=article&id=26&Itemid=30. Kula, O, Punch. M. (1995). Membership Survey of Dominica Cooperative Credit Union League.http://webcache.googleusercontent.com/search?q=cache:iHOOF9pJcnUJ:pdf.usaid.gov/pdf_docs/PNABX427.pdf+&cd=1&hl=en&ct=clnk&gl=bz. Retrieved October 09, 2017. Mendoza, P. (1992). The impact of credit unions as financial intermediaries in Belize. http://www.centralbank.org.bz/docs/default-sourc/4.5-conference-and-workingpapers/the-impact-of-credit-unons-in-belize-paper-.pdf?sfvrsn=4. Retrieved September 4, 2017. Nicholls, S. (2014), Financial Soundness Indicators, Presented at Credit Union Workshop, St. Vincent & The Grenadines. Pearce, K. D. (1984). Recent Developments in the Credit Union Industry. https://www.kansascityfed.org/ThhpZ/KhSZZ/LKXhZ/PZfmZ/PUBLICAT/ECONREV/EconRevArchive/1984/2q84pear.pdf. September 04, 2017. Railiene, G. &Sineviciene, L. (2015). Performance Valuation of Credit Unions Having. Social and Behavioral Sciences, 213,424-429.doi: 10.1016/j.sbspro.2015.11.561. Rostami, M. (2015). CAMELS’ Analysis in Banking Industry. 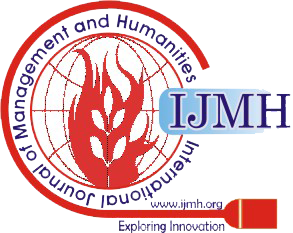 Global Journal of Engineering Science and Research Management, 2(11), 10-26. Sarker, A. (2005). CAMELS rating system in the context of Islamic banking: A proposed ‘S’ for Shariah framework. Journal of Islamic Economics and Finance, 1 (1), 78-84. http://scholar.google.com/scholar?hl=en&as_sdt=0%c5&q=camels+rating+systems+in+the+context+of+islamix+banking+abdul+sarker&btnG=. Schenk M. “Commercial banks and credit unions: facts, fallacies, and recent trends.” Third Quarter 2011. Credit Union National Association, Economics and Statistics Department. http://www.cuna.org/download/combanks_cus.pdf; 2011. September 04, 2017. John’s Credit Union Limited. Annual Report. 2008-2015. Retrieved from https://issuu.com/sjcu1946/docs. October 13th, 2017. Martin’s Credit Union. Annual Report. 2008-2015. Retrieved from http://smcubelize.com/agm. October 13th, 2017. World Council of Credit Unions. What is a Credit Union? Website http://www.woccu.org.